Ok, put your hand up if you stayed up late last night to shop the first hour of the sale… yup I thought so! Tons of people have already been shopping and have caused the site to crash under the huge load! I decided to brave the crowds this morning and also shop in person and I wanted to share my haul and photos. I only had a few minutes to check out shoes as it was extremely busy! I tried on the Cole Haan GrandPro Spectator Scalloped Slip-On Sneaker and liked it but didn’t love it. 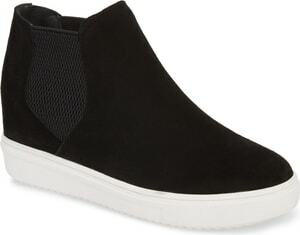 What did come home with me though, is the Steve Madden Sultan Chelsea wedge sneaker. This was super comfortable and priced very well at under $60 during the sale! I tried on a couple of Zella items from the sale. This sports bra was SO CUTE. I loved the flower print! I also tried on the Zella Old School Daydream sweatshirt. I love the thick sweatshirt material and the funnel collar is very cute. I thought this fit true to size. I like my sweatshirts slightly loose and this was a looser fit. I only wish it came in more colors! I would have loved this in a brighter pink. Barefoot Dreams has 3 cardigans in the Anniversary sale. My favorite was the CozyChic Lite Circle Cardigan. 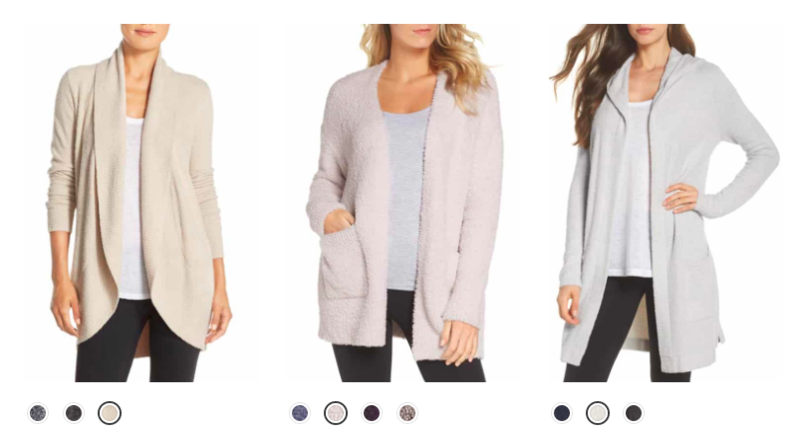 The CozyChic Lite Coastal hooded cardigan is the same material, while the CozyChic cardigan which is a thicker material. Personally, the thicker material made the cardigan look much more like a house coat and I didn’t love the look. It was VERY soft though, so if you’re looking for something to cuddle up with at home, this would be perfect. 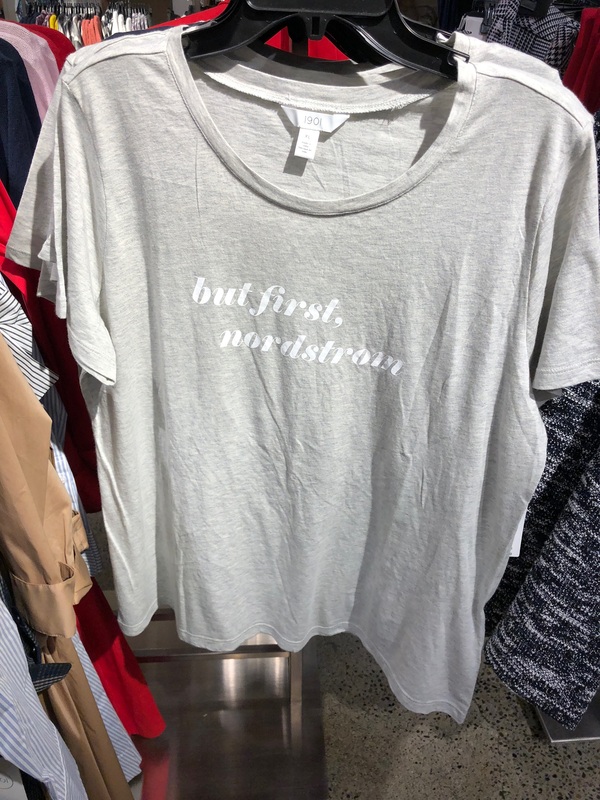 I saw the cutest Nordstrom tee for any Nordy girl. I also tried on a few sweaters including this Free People Saturday Morning cardigan which was so amazingly cozy. I love the open weave, though I can imagine this will be easily damaged in the store. This was marked Small/Medium and it runs on the large size. This Chelsea28 cardigan was unbelievably soft and light. Loved this! Unfortunately this Chelsea28 lace bell sleeve top had to go back because of the buttons. I can’t manage buttons in the back! However, if you’re not a button-phobe like me, it was definitely gorgeous and fit really well. 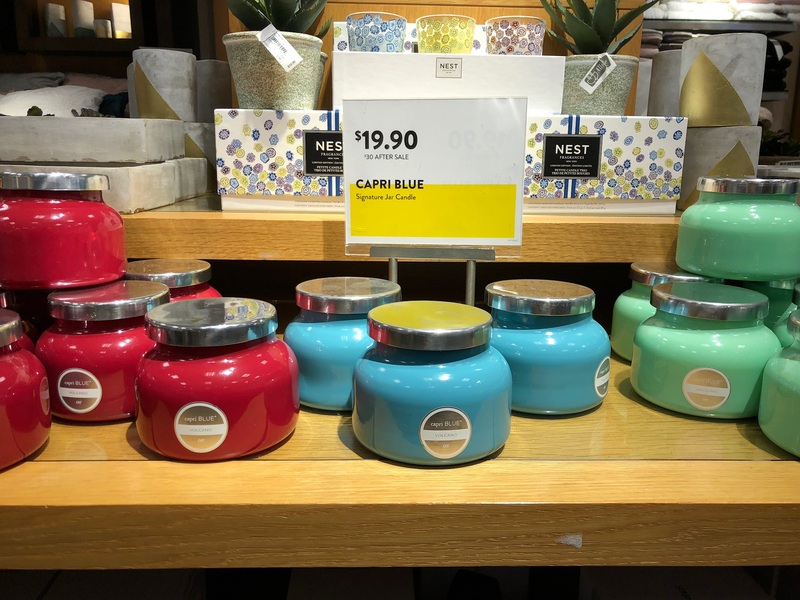 I made a quick stop in home to check out what was there and I found my favorite candle of all time, which is the Capri Blue Volcano scent. If you’re an Anthro addict like me, you’ll know this scent well! 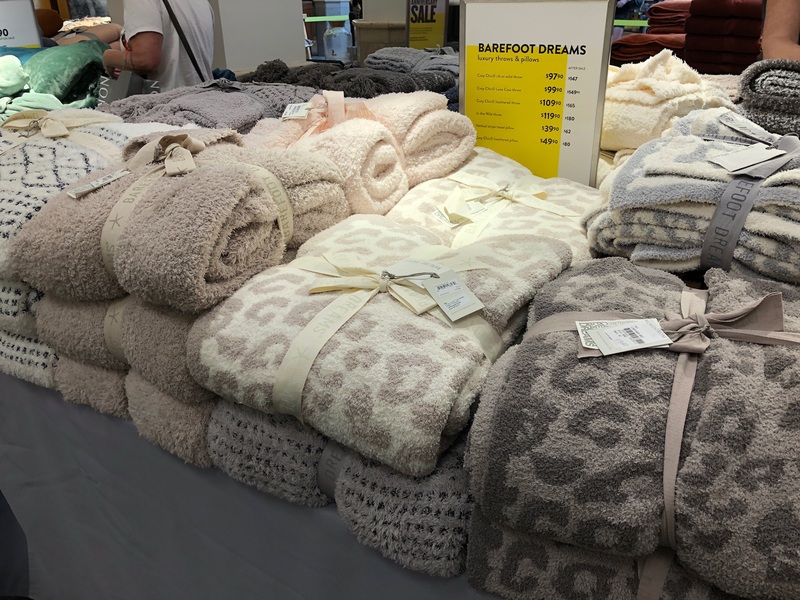 There was also a wide selection of Barefoot Dreams CozyChic throws in case you want more BFD goodness in your life.